Advanced registration is encouraged. Register at https://islamfactfromfiction.eventbrite.com. In addition to founding ING, ElGenaidi is the author of training handbooks on outreach for American Muslims as well as training seminars for public institutions on developing cultural competency with the American Muslim community. She was recently named by the San Jose Business Journal as one of Silicon Valley’s “Women of Influence”, and has been recognized with numerous civil rights awards. 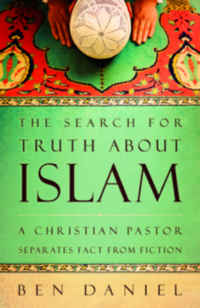 Daniel, pastor of Foothill Presbyterian Church in San Jose, wrote The Search for Truth About Islam in an attempt to inform Christians about Islam through scholarship, interviews, travel writing and by calling out and debunking many of the false and misleading stereotypes that all too often dominate discussions about Islam in public discourse. Copies of his book will be available for purchase and signing after the discussion. 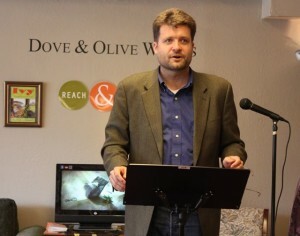 Daniel’s first book, Neighbor; Christian Encounters With “Illegal” Immigration, was named “Religion Book of the Year” in 2011, by ForeWord Reviews, a journal that highlights and reviews books from small and independent publishers. 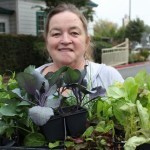 Editor’s Note: I am a member of Sunnyvale Presbyterian Church, and one of the organizers of this event. With at least one news report of a Muslim woman being physically ..
‘There is Nothing to be Afraid of,’ Pastor Says in ..
You wouldn't think the bastion of American TV motherhood, Donna Reed, would ..
Debbie Cullati Meza Like a flourishing vine extending outward, ..